If you are a nonresident, or part-year resident, with income from Louisiana sources, who is required to file a federal individual income tax return, you must file a Louisiana return reporting income earned. 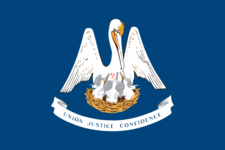 Military - If you are military personnel whose domicile is not Louisiana, you must report any nonmilitary Louisiana sourced income on Form IT-540B. The federal Military Spouses Residency Relief Act has extended certain residency protections to spouses of military members. A final return for a decedent must be filed if you are the surviving spouse, executor, administrator, or legal representative, and the decedent met the filing requirements at the date of death. Never forget to file LA IT-540B again.